I am the type of person who likes to give thoughtful, useful gifts at Christmas time. I want people to know I appreciate them about and that I put thought into something they would enjoy and/or need. For some reason, I have the hardest time choosing a gift to give to my brother, who is in college. I don't know why! At first thought, buying for a college student would be simple, but I always have the most difficult time with this one. This year, I think I found a good gift to give him (I don't want to share yet, juuuuust in case he reads this here blog), but I also came up with a GREAT stocking stuffer that I'm pretty excited about. A Study Survival Kit!!! 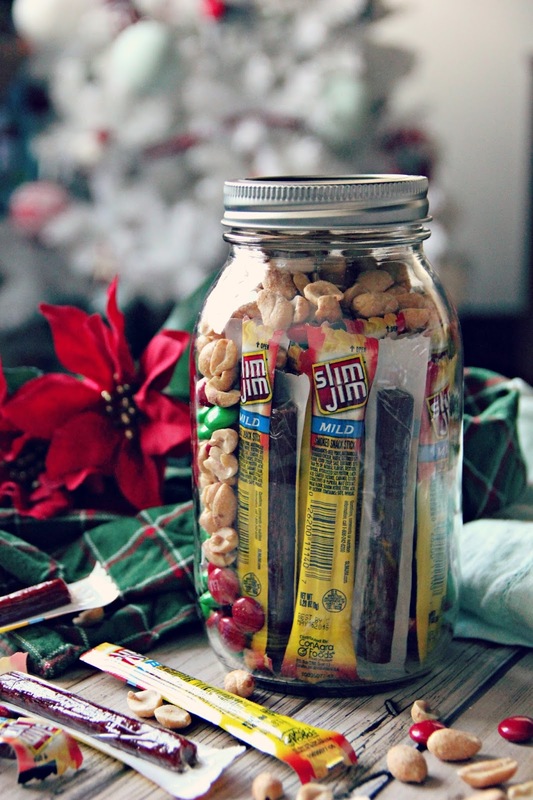 I filled a mason jar with chocolate candy, peanuts, and Slim Jims. 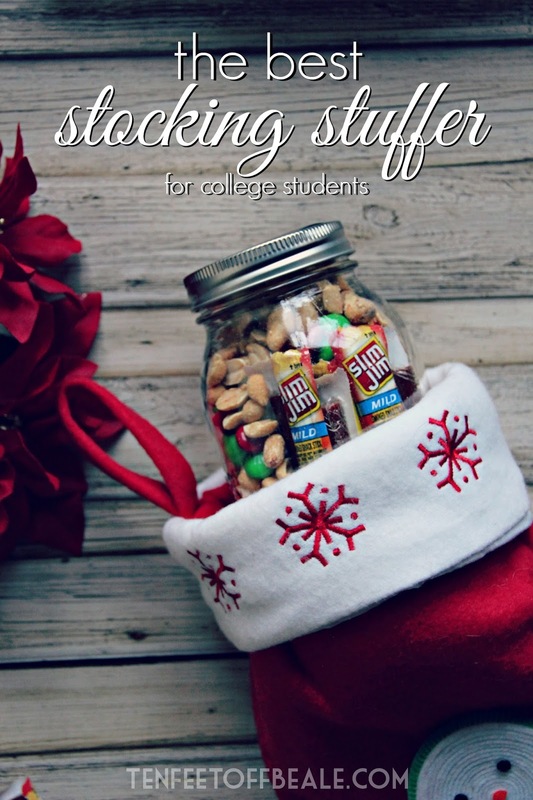 It's the perfect combination of salty and sweet and super easy to throw into a backpack to be brought to the library for long study sessions. 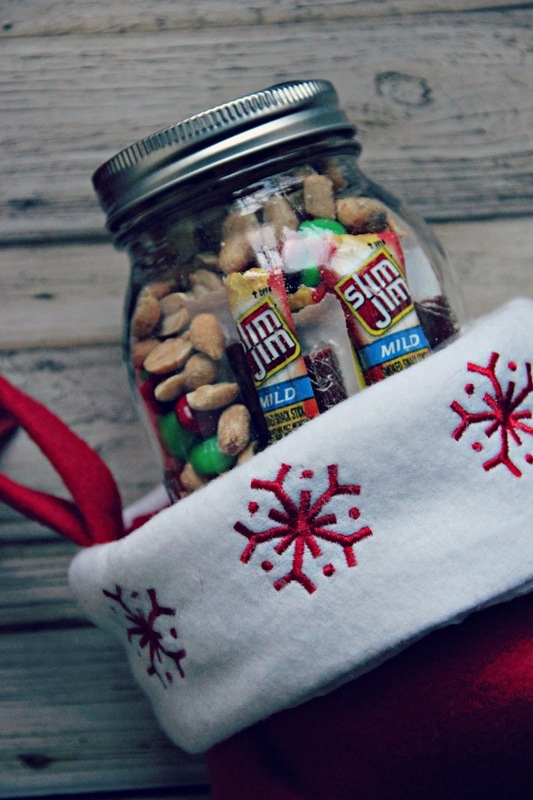 Not going to lie, my husband asked for one of these jars in his stocking this year. It also makes a great work snack for those of us who are no longer students. 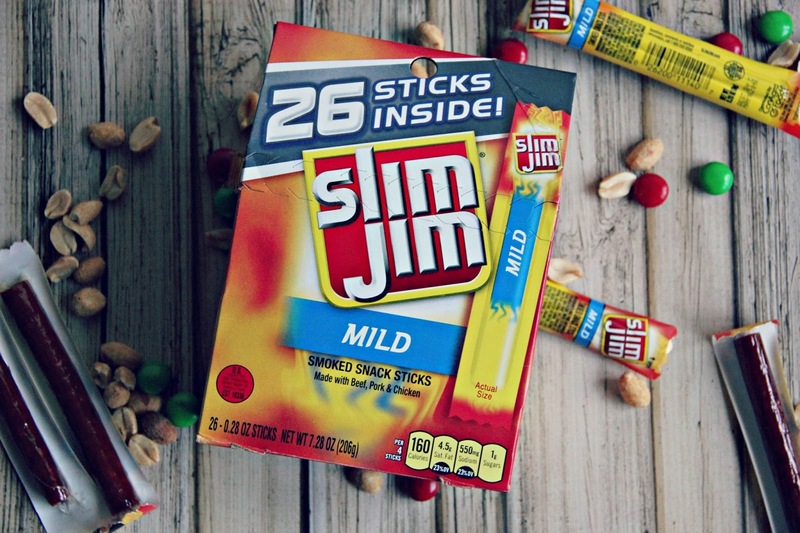 Bonus, the 26 pack of Slim Jims makes it SUPER easy to make multiple jars. 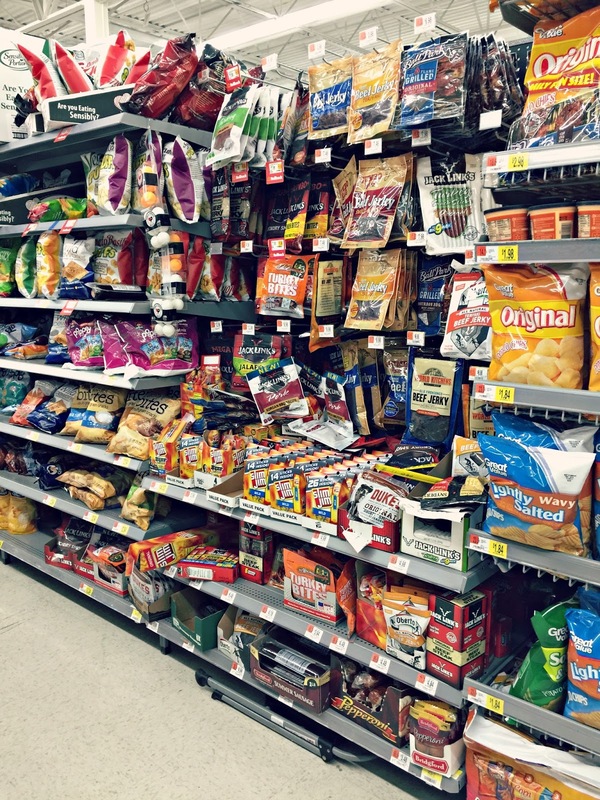 I found everything I needed at Walmart! 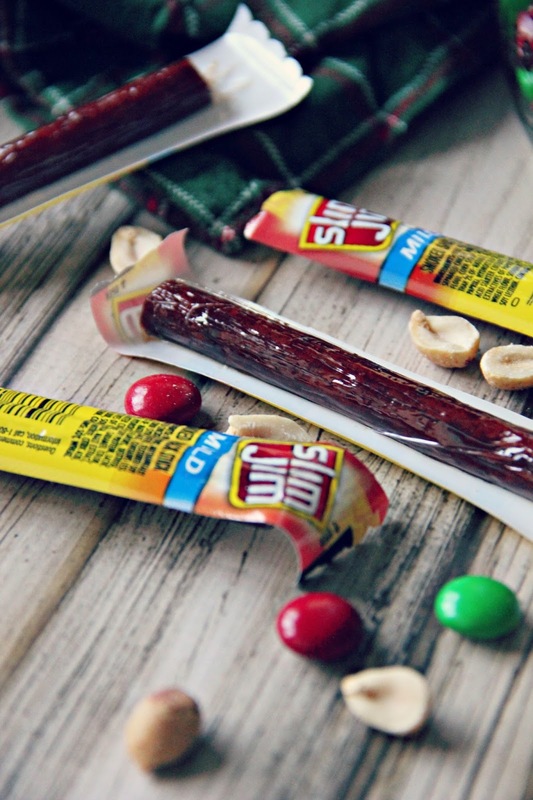 What are your favorite stocking stuffers to give or receive?? Love the idea of putting it in the jar. That would make it really easy to ship as a care package too.